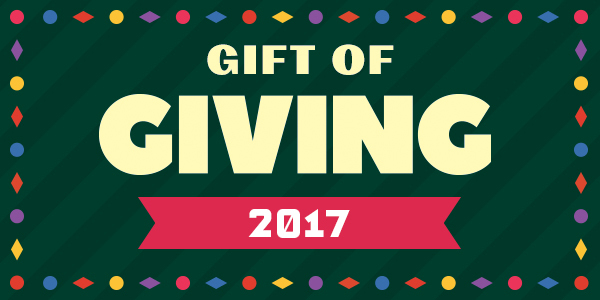 Envato Gift of giving, a variety of gift types have been selected, from a theme or graphic, to audio and video templates. Within 12 days, Envato will launch a special gift for customers. Various gifts can be WordPress themes, graphic designs, audio themes or video templates. I will update daily in the table below for you to follow. Note:Each freebie will be available for 24 hours only, starting from 11:00am AEDT every day through December 24th. A variety of gift types have been selected, from a theme or graphic, to audio and video templates. To receive gifts, just login to your envato account, click on the product link and click Download it for free! If you do not have an account, please make account in envato. For our final day of Gift of Giving, we wished to go out with a bang and bring you into a new year with fresh inspiration and an abundance of resources. So, take your pick or pick up all 12 free files—handpicked from our quality library of 410,000+ creative assets on Envato Elements. *Note: if you're already an Elements subscriber, you'll locate these files on your dashboard. Double the gifts means double your presentation power! Envato's resource for upskilling with tutorials and ebooks, Tuts+ have gifted their Complete Guide to Making Great Presentations where you'll learn how to shape your idea into a strong presentation, with effective planning, writing, and visual design. Next up, you can put these guidelines into action with today's graphic freebie: Xiera Creative PowerPoint Template. Ink Slideshow is a touching and beautifully-transitioning 5-star After Effects template for your photos or footage. A 5-star rated template you won't want to miss! Gaze is a premium multipurpose HTML template designed and developed with simplicity and flexibility in mind. Includes 18+ home demos and 100 modules and elements to get you started. Gaze is eCommerce ready and built with clean semantic HTML and powered with a responsive Bootstrap grid. Pack of 22 Clips broadcast quality, 1080p, FullHD, 25 fps, PNG+ with alpha channel. Use it to bring your video a sharp and neat high technology look. You could use this resources in a wide range of videos, from science fiction and documentary to corporate. A powerful, peppy rock tune featuring heavy electric guitars, drums and bass. Perfectly suited for urban, sports, gym and various other motivational video projects. Minimal WordPress Blogging Theme: Higo. Recently updated with a flexible featured carousel and one-click demo import, you can have your blog online and customized to your taste in no time. Full RTL support and translation ready. Today you get to unwrap 3 times! Envato included 3 WordPress plugins to instantly enhance your site: an image gallery, a product gallery slider for WooCommerce, and an Amazon Bestseller listing for your WordPress posts and pages. Whatever your business or niche, enhance the look of your site imagery and increase your conversion rates with this complimentary collection. trending Glitch Text Animator enables you to glitch your type, logo or photo. An After Effects title template with 15 unique glitch styles, “Glitch Text Animator” has remained a favorite effect across video and graphics this year, and with good reason! It’s suitable for any tech, modern or minimal project. 14 different variations, included Standard Card Mock-Up or Drag and Drop your Custom Size Cards inside the Mock-Up Layout Maker, then choose your desired photorealistic scenes. Plexx – flexible, customizable, multipurpose portfolio and blog theme with beautiful responsive two, three, four, five, six columns and full width Masonry layout or Packery grid which show your latest photo and video, blog with amazing Pictures for blogging theme and contact pages in clean modern creative and elegant design for freelancer, agency, photographer, videographer (Youtube or Vimeo video portfolio), camera operator or studio, perfect for creative professionals, suitable for any type of business with WooCommerce shop.